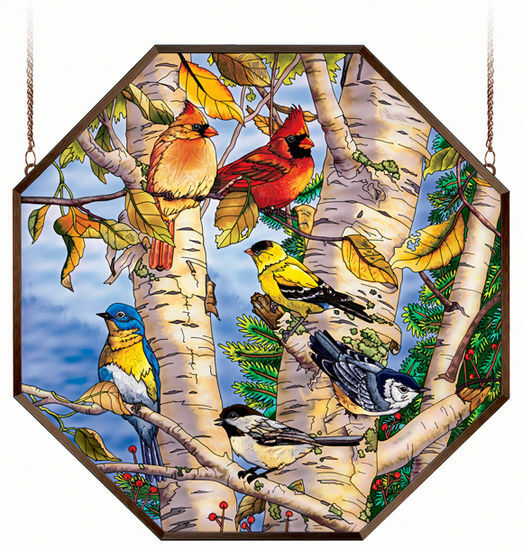 An octagon shaped window panel that includes amazing detail in color and illustration of our favorite songbirds in the trees on a fall day. Imagine when the sun catches these colors and dances around the room! Hand painted tempered ripple glass with aluminum frame and hanging chain. Octagon shaped size 22" x 22"
Note matching Songbird items sold below for your convenience.